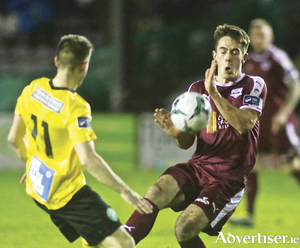 It has been a disappointing opening to Galway United's SSE Airtricity League first division season, but Cobh Ramblers will present United with a real opportunity to register a win when the two sides meet at Eamonn Deacy Park tomorrow (7.45pm). It remains early in the SSE Airtricity League first division season, but Galway United’s Eamonn Deacy Park fixture against Limerick FC carries huge importance tomorrow evening (7.45pm). 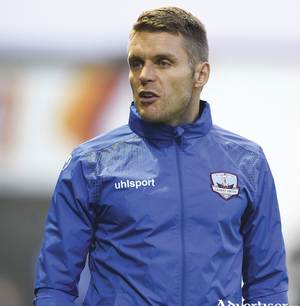 Having suffered two recent defeats in the first division and EA Sports Cup away to Cabinteely and Waterford FC, Alan Murphy’s United outfit will be eager to respond on home turf. Another vital SSE Airticity League First division fixture is imminent for Galway United, who travel to Stradbrook tomorrow to face Cabinteely (7.45pm). 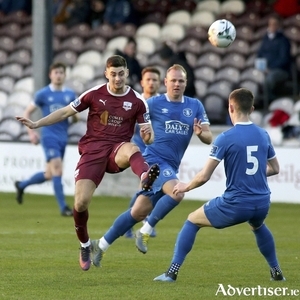 While early in the SSE Airtricity League first division season, there is no denying the importance of Friday’s Eamonn Deacy Park fixture involving Galway United and Drogheda United (7.45pm). Alan Murphy’s youthful team has been competitive in all encounters so far, but the United boss is eager to add points to the account quickly. 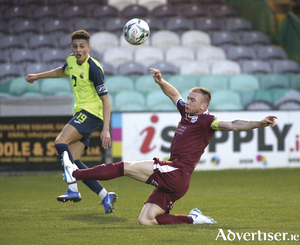 Galway United face a tricky SSE Airtricity League first division assignment against unbeaten Longford Town at City Calling Stadium on Saturday (7.30pm). Galway Women's FC host their first game of the new National League season in Eamonn Deacy Park on Saturday (6pm). Buoyed by an encouraging weekend, Galway United return to SSE Airtricity League first division action at Eamonn Deacy Park tomorrow when hosting Bray Wanderers (7.45pm). Galway United make a welcome return to SSE Airtricity League action when hosting first division favourites Shelbourne at Eamonn Deacy Park tomorrow (7.45pm). It is getting tight at the top of the Galway FA Premier League with only two points separating leaders Mervue United, champions Athenry FC and challengers Salthill Devon. Athenry had a 4-0 win over Merlin Woods Sports Club on Saturday with goals from Cathal Fahy (5), Gary Forde (pen 21), Stephen Cunningham (64) and Cole Connolly (89), while Mervue took over the top spot again on Sunday with a 7-1 win over Galway Bohemians at Miller's Lane with goals from Tommy Walsh, Barry Moran, Enda Curran (2), Jason Molloy, Peter Walsh (2) and Andrew Connolly. 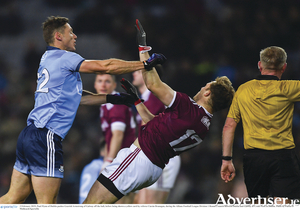 A sobering defeat to Dublin has Galway on the back foot facing into this weekend’s Allianz Football League round three fixture against Monaghan in Inniskeen on Sunday (2pm). 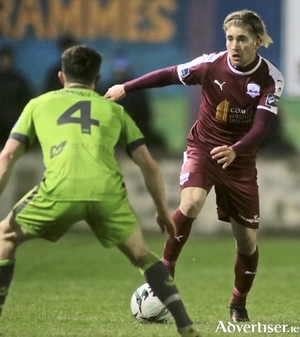 Midfielders Conor Barry and Conor Melody, and youngster Adam Rooney, have signed contract extensions with Galway United for the 2019 SSE Airtricity League season. 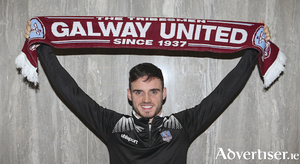 Alan Murphy has signed a contract extension with Galway United for the 2019 SSE Airtricity League season. Over the last two seasons Murphy has guided United's under-17 team to the semi-final stage of the league play-offs and the midfielder wrote his name into the club's history books when he became United's record league goalscorer when he scored his 75th league goal for the Tribesmen against Cobh Ramblers in April. Galway Women’s FC play Shelbourne in the national final of the inaugural Continental Tyres U17 Women’s National League in Drom on Sunday (3pm). Galway United manager Alan Murphy is ready, willing, and eager to remain in charge of United, believing the club can make progress. “I've tried my best in terms of the philosophy and the plan and the structure I have put in place,” Murphy says ahead of Galway United’s final SE Aitricity League first division game against Shelbourne in Tolka Park on Saturday(7.45pm). Galway United's last home game of a disappointing SSE Airtricity League first division is scheduled for tomorrow evening against Wexford FC at Eamonn Deacy Park (7.45pm). Galway will be on a revenge mission when they host Shelbourne in the Continental Tyres FAI Women's Senior Cup quarter-final in Eamonn Deacy Park on Saturday (6pm). Galway United's miserable SSE Airtricity League first division campaign continued when they suffered another away defeat against Finn Harps in Ballybofey last Friday.